I love the look of pom pom garlands so I finally decided to try one out. 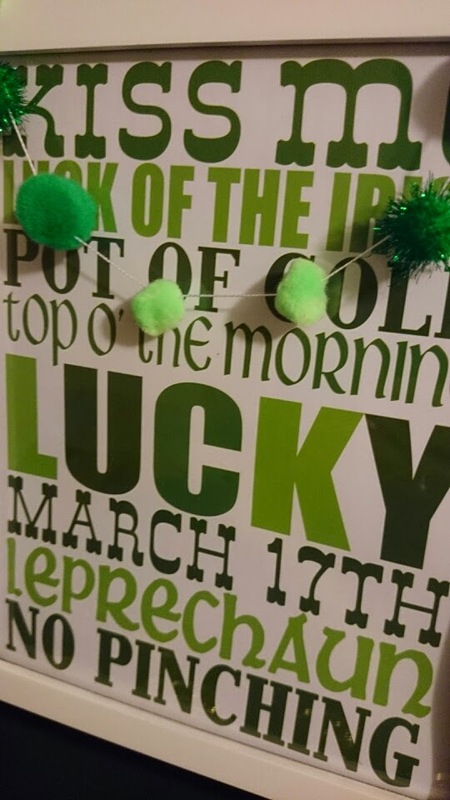 We don't have many decorations for Saint Patrick's Day so I thought it would be a good addition. Measure and cut your thread to your desired length. Create a large knot on one end of the thread. On the opposite end thread and poke the needle through the center of the pom pom. Continue to thread the pom poms on in your desired pattern until you have reached the look you want. 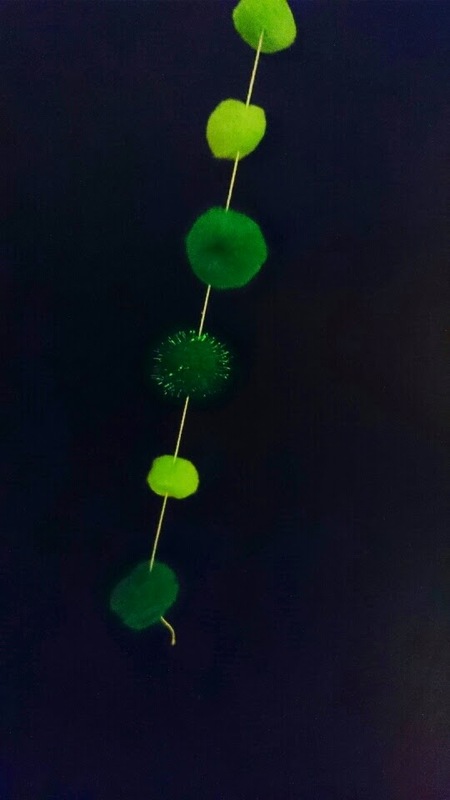 I spaced my pom poms about an inch apart on a string a little over four feet long. 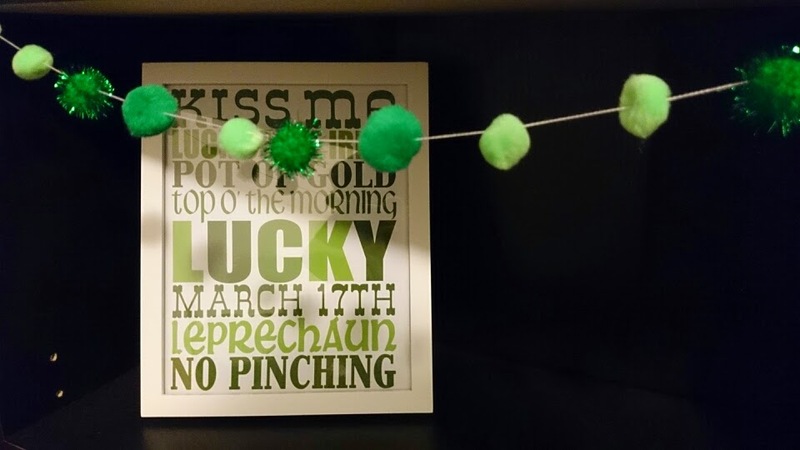 I loved the way it turned out and it was a cheap and easy craft. 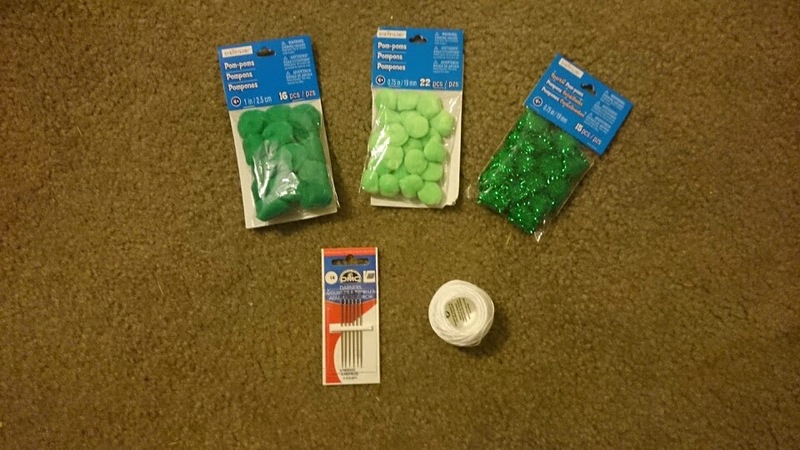 It cost under ten dollars and took me around ten minutes to make!